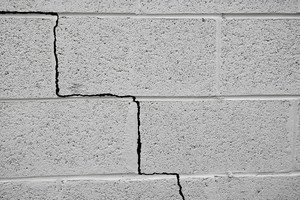 Masonry joint failure is the presence of damage on the joints holding masonry work together. Knowing the cause of your Toronto masonry joint failure is key to finding the right solution. Mortar joints give a structure its strength. When joints become weakened the entire structure is weakened as well. The most common causes of masonry joint failure include the weather, moisture and temperature fluctuations, things you largely have no control over. For that reason, at some point in time, every structure requires masonry joint repairs. A repair called repointing is necessary if mortar is missing from masonry joints. This isn’t the type of job you want to ‘DIY’. A professional is always recommended for repointing, especially if you are working on a historic building. One must mix an appropriately matched mortar to fill in the damaged areas; any miscalculations in the new mortar could lead to big-time damage. Mortar must match in regards to color and strength, and should never be stronger than the original mortar. Also, the mortar should never be harder than the brick. Otherwise, bricks are prone to cracking and spalling. Prior to applying new mortar, the old mortar must be properly cleaned out and prepped. 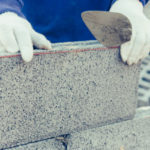 The joint should be scraped out by a minimum of 2-2 ½ times the width of the joint, this ensure that a strong bond takes place between the new and old mortar. Otherwise, the new mortar could simply pop out of place. Quality repointing makes the structure as strong as it was before, helping it last for many more years without the same risks for water damage, brick spalling or overall loss of structural integrity. 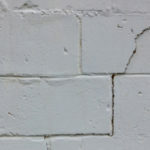 Masonry joint failure can happen to buildings of any age, but it is most common in historic buildings, simply because they are older and have experienced more ware and tear. The majority of homes or buildings constructed over 100 years ago have chunks of missing mortar, especially if the structure is not regularly maintained and repointed as necessary. Qualifications are everything when it comes to restoring a historic structure. Someone inexperienced in historic renovations will devalue the structure. There are strict protocols and methods you must stick to in order to provide long-lasting repairs that maintain historic qualities. Have questions about restoring a historic masonry building? Contact Turnbull Masonry! We specialize in historic repairs and restorations. 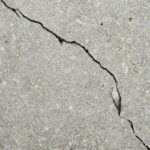 Cracking: When the joint is put under pressure from trapped moisture it will expand and contract until it literally cracks. 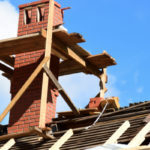 Crumbling: If you notice the face of the unit is deteriorating and actively crumbling off, the cause is usually associated with excessive moisture that has gone unchecked. Spalling: This is when actual chunks of masonry begin to fall off of the structure. Efflorescence: The white build up you see on masonry is known as efflorescence. When water is released through the surface of the structure, salts and other minerals get left behind, creating a whitish stain. In most cases, this will cause more visual than structural damage, but not always. Erosion: Constant pressure from anything, including water or walking feet, will increase natural pace of erosion. Greenery: If there are plants, trees or vines nearby they could grow into the mortar joints and create issues. If you notice vines growing out of mortar do not tug them out. Doing so could cause a lot more than just the vine to come out. Tiny vines can grow all throughout joints, and once inside these vines will expand and contract, leading to the exact same damage excess moisture causes. Acidic Rainwater: Even worse than too much rainwater is too much acidic water. Acid erodes the valuable minerals in the unit and dissolves the binder in the joint. As a result, the structure remains unprotected from water damage. What Happens If You Don’t Fix Failed Masonry Joints? Water may be the cause of your joint failure, but if the joints go unfixed more moisture will enter and cause further damage. Moisture naturally moves in and out of bricks, but when brickwork has failed masonry joints this water can enter in such high quantities it becomes saturated. Thus, increasing damage caused by freeze/thaw cycles. 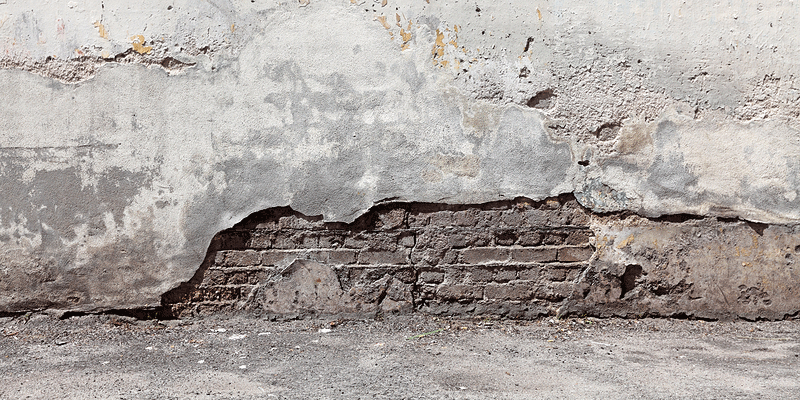 Spalling is when chunks of masonry literally begin to fall out of the structure. Contact the professionals at Turnbull Masonry for top-notch masonry repointing and repairs Toronto has trusted for years!